Born in 1989 in Amsterdam, the young French singer DEVI REED was bathed in a double culture due to its Dutch and Italian origins. He has already gained extensive experience in stage and studio, as lead singer of the French reggae band "The Banyans". In fact, he has been able to distribute two albums nationally in this Toulouse sextet, but also to perform more than 400 concerts in more than 10 countries (France, Italy, England, Switzerland, Belgium, Spain, Luxembourg, Poland, Czech Republic, Germany) , To the biggest festivals in Europe (Reggae Sun Ska, Rototom Sun Splash, Ostroda ...) or the Zenith of Paris! 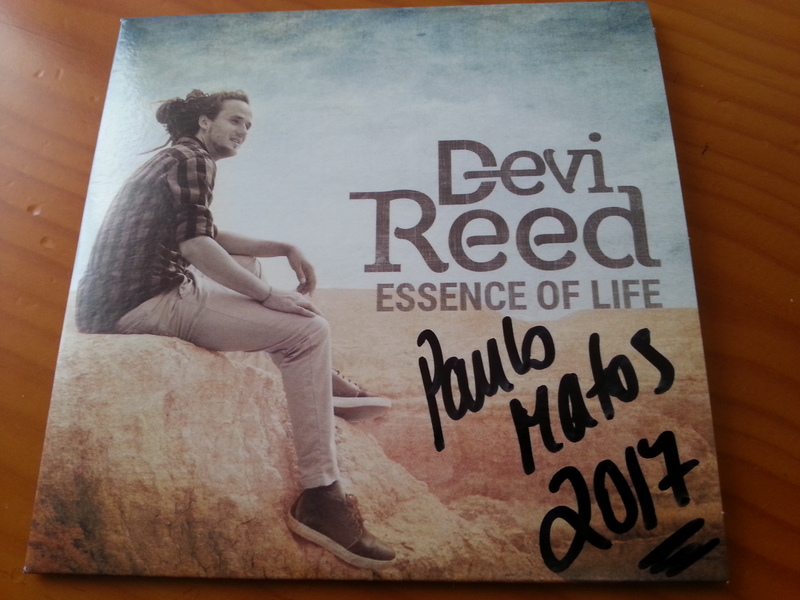 At the beginning of the year 2016, Devi finally decided to launch his solo career in order to express all his musical inspirations. To do this, he directs this new project towards an innovative aesthetic that speaks to the greatest number of people, embellishing its influences with a subtle blend of hip-hop, soul, reggae and electro. So many musical colors that accompanied him since his childhood. On the writing side, one discovers here more personal and yet universal texts that prove to touch the greatest number, sung in French or in English. 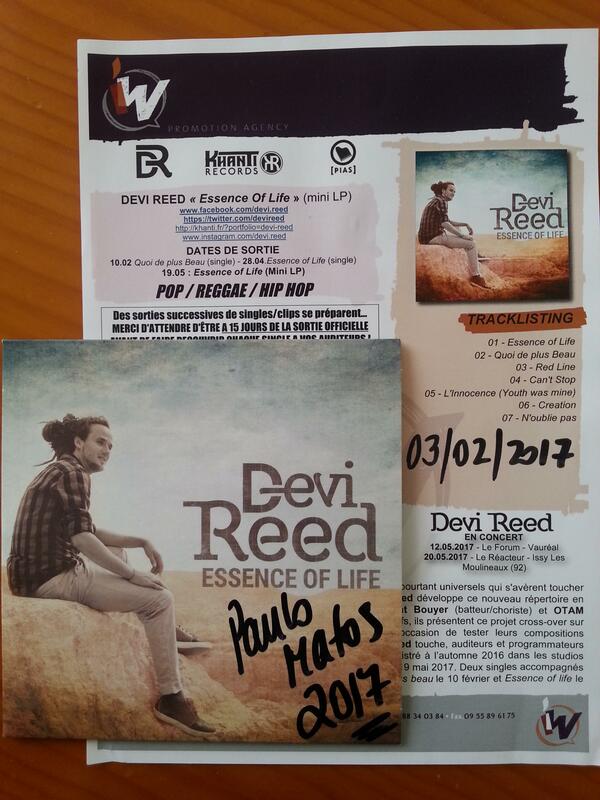 Devi Reed develops this new repertoire with two experienced musician friends: Clément Bouyer (drummer / chorus) and OTAM (machinist / multi-instrumentalist). Experienced and most productive, they present this project cross-over on stage by performing more than 20 concerts in a few months; The opportunity to test their compositions directly with the public. The result is no-call, Devi Reed touches, listeners and programmers are conquered. 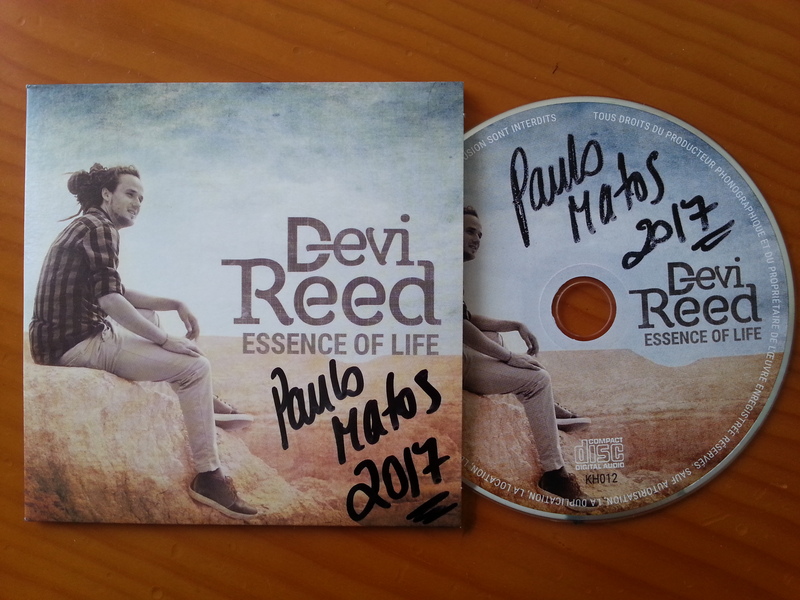 The first (mini) album "Essence Of Life" recorded in the fall of 2016 in the Davout studios in Paris by sound engineer Clément Thouard , will be released on May 19, 2017 . Two singles accompanied by a video clip will be unveiled to the public soon ( What's more beautiful on February 10 and Essence of life on April 28, 2017).